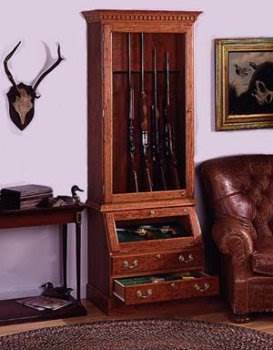 Storing and displaying gun and rifles can be a simple wall-mounted rack or a major piece of furniture. 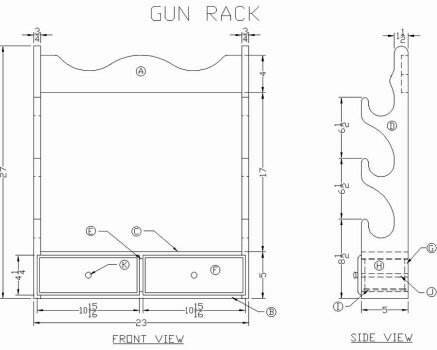 With free gun cabinet plans, a woodworker can make a simple rack in an afternoon or spend the off-season building a custom piece of furniture that will be used for a lifetime. There are also folding models that are portable for field use, transforming into a box with an easy to use handle. A trophy case is a stylish piece of furniture that locks for security. A simple ammo box is a great project to learn woodworking skills and features a sliding lid for easy access. Choose a style and size that are right for you and make a special place to display your collection. 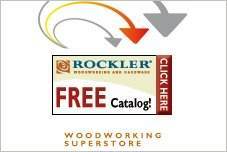 Rifle racks, trophy cases, ammunition boxes are all available when you choose free gun cabinet plans. 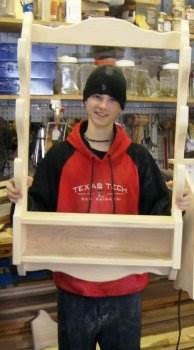 Here is a project for a wooden rifle rack that is designed to be mounted on a wall. 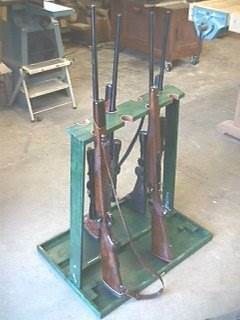 This plan with instructions is for a Mosin Nagant rifle rack. Other rifle rack plans are included. Build a rifle rack that will easily transform into a wooden box with handle and works great when in the field. 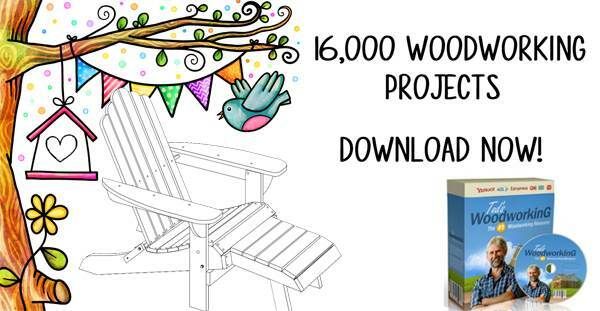 This is a project for a wooden wall mounted gun rack with a solid back. 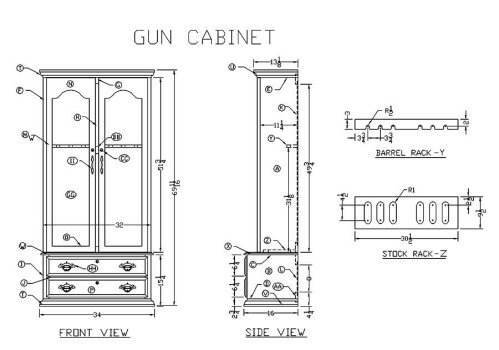 Here are plans with diagrams to help you build an attractive gun cabinet with plenty of needed storage. 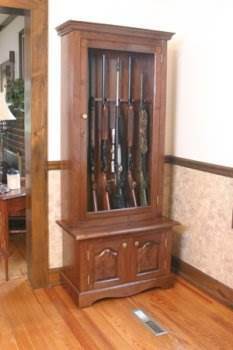 Lock up your guns by building a gun case that not only locks but displays your fire arms behind a glass cabinet. 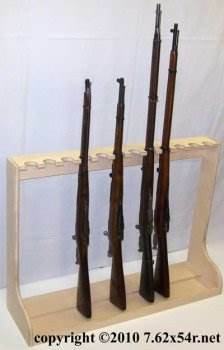 Instructions on how to build a gun rack out of walnut for your den, office or garage. Build a gun cabinet that has an upper and lower glass display area for long arms and pistols, plus storage for ammunition and cleaning supplies. 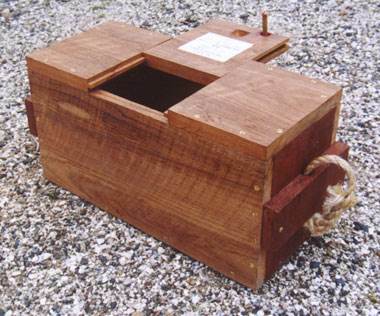 Here is a project for a solid wood ammunition box with a sliding lid for easy access.